Six months is an important milestone for any baby growing up. 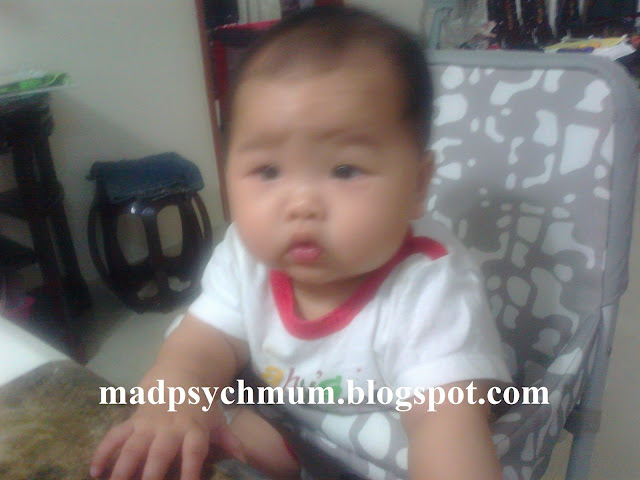 It is a time when they sit up, crawl, pay attention to things and respond to people. Baby J can even bring her thumb to one finger, also known as the Finger-Thumb Grasp, to tug at things (like people's hair -_-"). Usually babies reach this important developmental milestone at about 7-11 months, so yes, you can say I was extremely proud that she was able to do it so early. No doubt a result of all the breastmilk, which is known to boost learning and IQ. But more importantly, six months is the age where most babies start eating foods other than breastmilk. According to the World Health Organization (WHO), infants should breastfeed exclusively for the first 6 months. Then at 6 months, complementary foods like pureed fruits and vegetables can be introduced as a complement to breastmilk, which continue to be their main milk source. Complementary foods can be introduced earlier than 6 months but not before 4 months (Source: Chapter 8 of Feeding and Nutrition of Infants and Young Children). Encouraged by her paternal grandmother and pediatrician, I introduced solid foods to baby J at 4-and-a-half months. 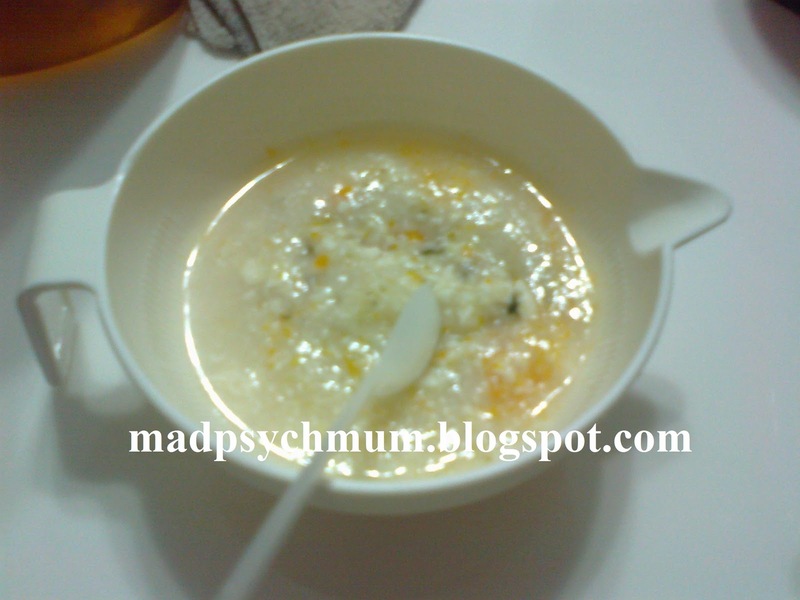 Her first foods include pureed vegetables like carrots as well as fruits like pumpkins, apples, bananas, avacados, etc. As recommended, we only fed her one type of food each day so that we can ascertain her food allergies. So far, her stomach only reacts negatively to egg yolk, which causes her to vomit. My guess is that her stomach is still not fully developed to digest eggs yet so I intend to reintroduce it again in future. She likes 'em just right like Goldilocks: not too hot and not too cold or she'll spit 'em right out. I bought one bottle of apples and 1 bottle of peaches, which are not shown in the picture. Baby J only finished half of the bottle of peaches. I'm not sure if it's because she's new to the taste or just did not like it. Anyway, I licked the mixture a little and it tasted a little too sweet for my liking. Don't think I'll be buying them again unless in case of emergency. In my opinion, home-made pureed triumphs commercial ones hands down.